Fresh produce and seasonal ingredients continue to drive cocktail trends. 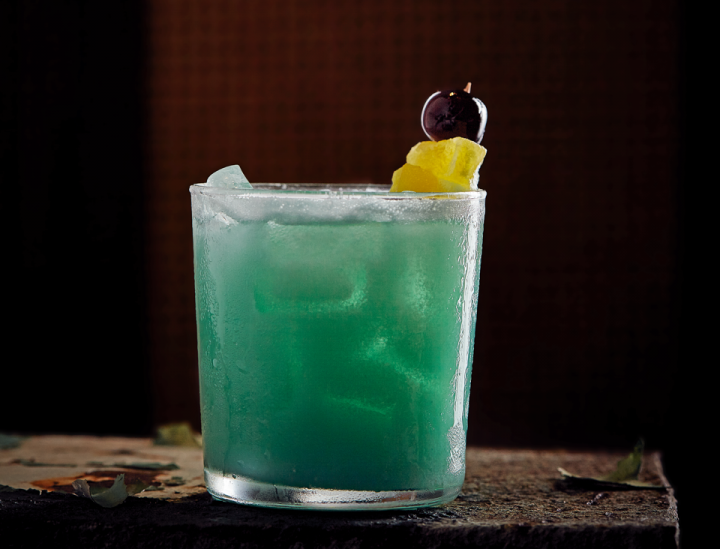 The South by Southwest at Stoke in Charlotte, South Carolina, is a fresh take on a margarita, comprising Tequila, agave, fresh lime juice, grapefruit bitters, habanero shrub, and muddled blueberries and basil. The farm-to-table restaurant is now a fixture in American dining; venues that source ingredients from local purveyors or directly from backyard gardens have become prevalent not only in major foodie cities like New York and San Francisco, but all over the country as well. It was only a matter of time before the trend made its way to the bar, says Johnny Swet, mixologist at The Skylark in New York City. “Mixologists work very closely with chefs, so it was a natural progression to see the use of locally sourced and seasonal ingredients extend into mixology,” he says. Though a relatively new trend, making drinks with local ingredients—from fruits and herbs picked at a nearby farm to spirits distilled just down the street—is quickly becoming the norm in restaurants and bars across the country. Consumers have come to expect this level of care to be put into cocktails, and mixologists are more than happy to deliver. A major reason behind the popularity of using locally sourced ingredients in meals and in cocktails is that consumers today are more health conscious than ever before, and they want to know exactly what they’re putting in their bodies, Bambaren says. Swet also notes that people are eating and drinking healthier. 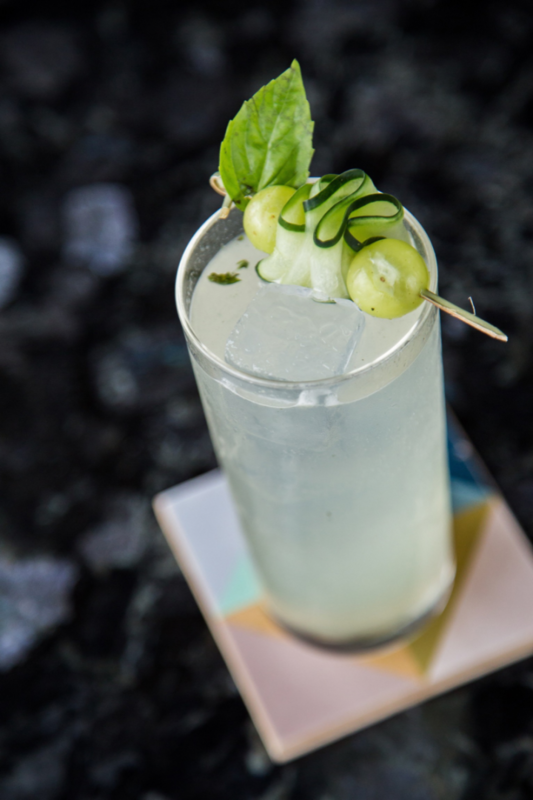 “Consumers favor unprocessed, natural options,” he says, pointing to cocktails like his Spring Fling ($18), which features Crop Organic Cucumber vodka, St-Germain elderflower liqueur, simple syrup, fresh lemon juice, and muddled fresh green grapes and basil leaves. “People like to see that bars are using local ingredients—something they can put their hands on and touch,” says DiSean Burns, manager of drink at Stoke restaurant in Charlotte, South Carolina. “They like familiar flavors, such as basil and berries, used in a way that showcases their freshness. Fresher is better, and people have taken note of that.” The South by Southwest ($16)—his take on a Margarita—comprises Lunazul Reposado Tequila, agave nectar, fresh lime juice, Bittermens Hopped Grapefruit bitters, Bittermens Hellfire Habanero shrub, and muddled blueberries and basil. Consumers are drawn to cocktails that exhibit a clear attention to detail. House-made ingredients have become increasingly popular, as they both incorporate fresh flavors and reflect the personality and flair of the venue. “People are much more apt to spend $14 on a cocktail if they know you put some time and effort into creating it,” says Richard Murphy, beverage director at Kings County Imperial in Brooklyn, New York. Michael Baldonado, bar manager at MKT Restaurant and Bar at the Four Seasons Hotel in San Francisco, uses a lot of shrubs, cordials, tinctures and bitters, all made in-house. He says these ingredients give the bar “a sense of place and style that is distinctly San Francisco,” adding that he takes pride in this handmade approach to cocktails. “I like to create my own ingredients and know where they came from and that I made them myself,” Baldonado explains. “For example, in one of my cocktails I make a passion fruit syrup that takes a few days to macerate and reduce to the flavor and consistency that I want.” The drink is called Island Fever ($16) and features Cruzan Aged Dark rum, house-made passion fruit syrup, and fresh squeezed orange and lime juices, garnished with a house-made pineapple wafer crisp that’s set ablaze with brown sugar and Everclear before serving. 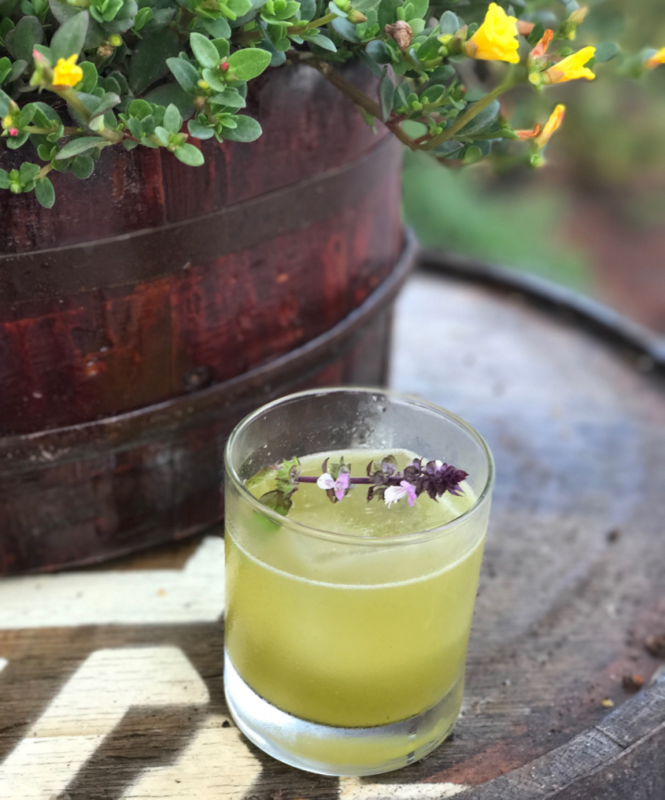 The Green House Effect at Death or Glory blends aged rum, absinthe, simple syrup made from purple basil grown in-house, and fresh pressed lemon and grapefruit juices sourced from a local market in Boynton Beach, Florida. Beyond favoring fresh ingredients for their perceived health benefits, consumers appreciate seeing bars that support the local agriculture. Abbruscato of Nina’s House says this trend has become the norm. 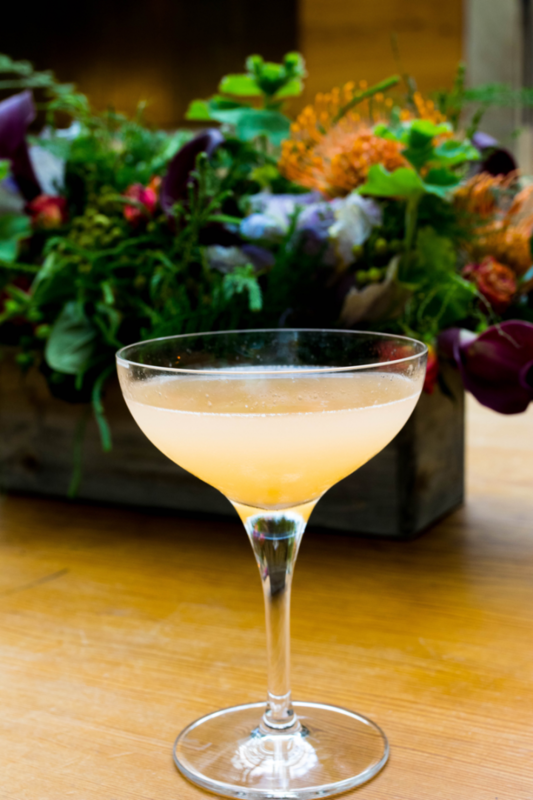 “With their heavy focus on health and wellness, customers have really taken to local ingredients as they provide a noticeably fresh aroma and taste to cocktails, as well as allow them to understand the responsible and sustainable methods used in procuring the ingredients that they’re consuming,” he explains. Abbruscato also notes a change in consumer expectations. “In the past, if you wanted lime juice in your cocktail, it was a neon green, sugar-based liquid, poured out of a bottle,” he recalls. “Now you would expect nothing less than freshly squeezed lime juice in your cocktail. And clearly, we have advanced from the simple juice aspect to fresh herbs and spices.” Abbruscato loves using fresh herbs in his drinks for their simple yet unique qualities. His Globetrotter cocktail ($16) blends Death’s Door gin, St-Germain, fresh basil leaves, and fresh watermelon and ginger juices, while his Spicy Nina ($16) features Caña Brava rum, fresh cilantro and jalapeño, and fresh pineapple and Honeycrisp apple juices. Virtu Honest Craft receives shipments every week from Brother Nature Farms in Scottsdale, Arizona. “We get a variety of freshly picked herbs and fruits that I haven’t heard of or haven’t thought to use in a cocktail,” Bambaren says. “I enjoy the challenge of building a drink around new produce—it offers an opportunity for me to expand my creativity and grow as a bartender.” Bambaren’s Spring Garden ($13) comprises Arizona Distilling Co.’s Commerce gin, Turin Tuvè Bitter liqueur, Tempus Fugit Gran Classico Bitter liqueur, fresh lemon juice, simple syrup, fresh radish pods and spearmint from Brother Nature Farms, and fresh breakfast radish from another local farm called Steadfast. 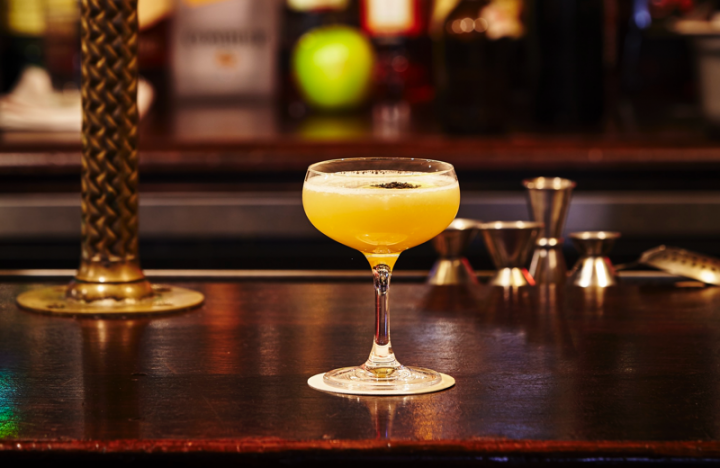 Kings County Imperial's The Powder Keg features gunpowder green tea-infused Bulleit Rye, honey syrup, fresh lemon juice, egg white, and an orgeat syrup made locally in Brooklyn. At Farm at Carneros in Napa, California, the bar team pulls ingredients from the culinary garden just outside of the restaurant. 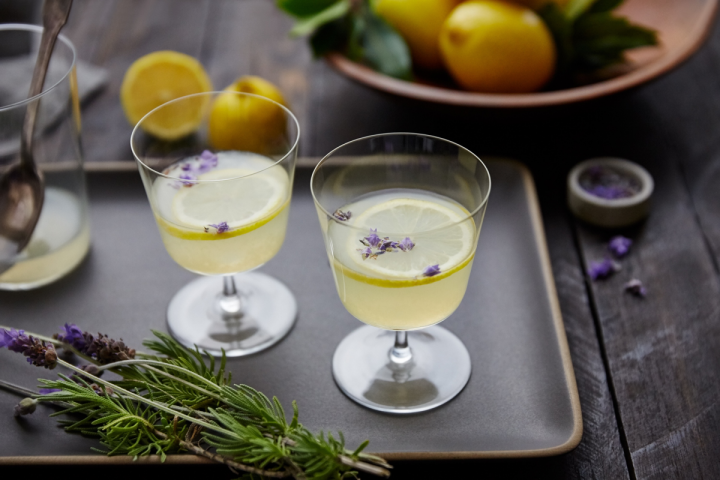 Beverage director Zion Curiel’s Lavender & Lemon ($15) comprises Uncle Val’s Botanical gin—distilled in nearby Sonoma, California—fresh lemon juice and a house-made lavender simple syrup that incorporates lavender from the property. At Death or Glory in Delray Beach, Florida, owner Isaac Grillo’s cocktail The Green House Effect ($12) blends Afrohead Briland 7-year-old Premium Aged rum, St. George absinthe verte, simple syrup made from purple basil grown in-house, and fresh pressed lemon and grapefruit juices sourced from Bedner’s Farm Fresh Market in Boynton Beach, Florida. Some bartenders are choosing to work with small, local companies to better connect with their communities. 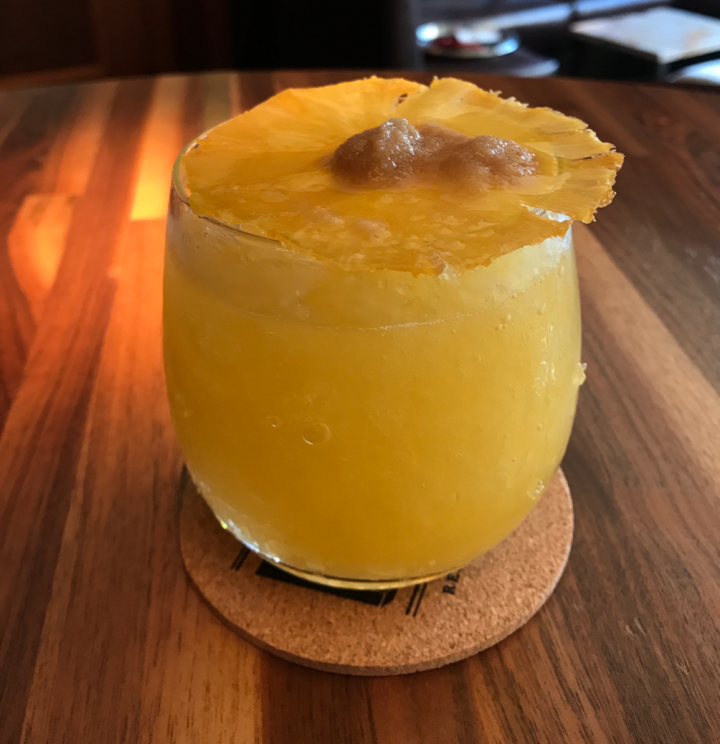 At Kings County Imperial in Brooklyn, New York, the Coco Palms mixes rum, curaçao, pineapple juice, cream of coconut and locally made, small-batch macadamia nut syrup. As the craft distilling boom continues, bartenders have a wide array of locally produced spirits at their fingertips. “People in Cleveland can appreciate sourcing locally and supporting and driving Ohio businesses,” says Kelly O’Connor, sales and marketing manager of Urban Farmer’s Cleveland venue. “We’ve found that people seek out our cocktail menu for options that offer ingredients from local companies, such as Cleveland Jam and Watershed Distillery in Columbus.” The Sideways ($11) blends Watershed Four Peel gin, Cleveland Jam Co.’s Rock and Roll Merlot jam, and lime juice. “Watershed Distillery shares our ethos of sourcing local ingredients,” O’Connor adds. “Their vodka, for instance, is distilled from 100-percent Ohio corn and apples, and they also produce a nocino using walnuts from an Ohio walnut farm.” The Contadino ($14) features Wild Turkey 101 rye whiskey, Rémy Martin VSOP Cognac, Watershed Nocino walnut liqueur, Campari aperitif and Peychaud’s bitters. Virtu Honest Craft’s Bambaren is a big fan of Arizona Distilling Co., based in nearby Tempe, Arizona. “Their Copper City Bourbon is really versatile, lending itself to various cocktail applications. It works well with so many different ingredients.” His Local Sour ($13) features the Bourbon with Giffard Crème de Pamplemousse Rose pink grapefruit liqueur, fresh lemon juice, house-made Moroccan syrup, Regans’ No. 6 orange bitters and wild za’atar from Brother Nature Farms. MKT's Island Fever blends aged dark rum, house-made passion fruit syrup, and fresh squeezed orange and lime juices. House-made pineapple wafer crisps are set ablaze with brown sugar and Everclear and added as a garnish. “More and more consumers come in seeking local spirits from Northern Californian distilleries,” MKT’s Baldonado says. 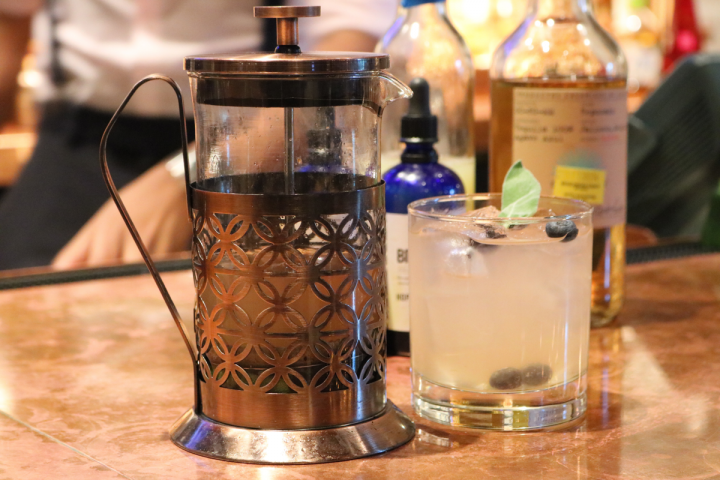 “I currently use Anchor Distilling’s Junípero gin in my take on an Aviation and St. George Spirits Botanivore gin mixed in with our house-made lemon cordial for our French 75. All of these products are made within 10 to 15 miles of us.” The Aviation ($16) comprises Junípero, Luxardo Maraschino liqueur, Tempus Fugit Spirits Liqueur de Violette—also in the Anchor Distilling portfolio—and lemon juice, while the French 75 ($16) features St. George Botanivore, house-made lemon cordial and Enza Prosecco. “So many small, local companies are distilling their own spirits now and that’s great for our industry,” Kings County Imperial’s Murphy says. “Just the other night we had a guest who was so excited to try our Owney’s Negroni because he knew the rum is made right up the street.” The drink ($14) is served on tap and comprises Owney’s Original New York City rum, Aperol aperitif, Carpano Antica Formula sweet vermouth and Regans’ bitters. Add cilantro and jalapeño to bottom of a cocktail shaker and fill with ice. Juice the pineapple and apple and add to the shaker along with the rum. Shake hard and strain into an ice-filled Collins glass. 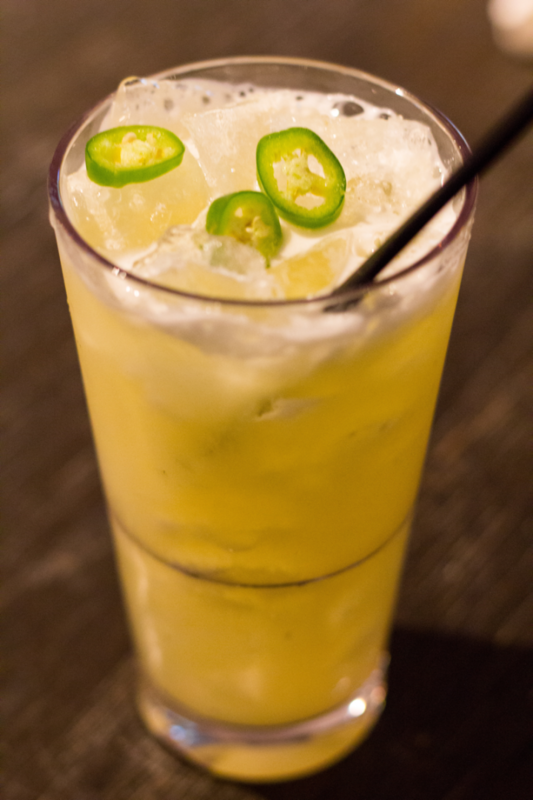 Garnish with jalapeño slices. Combine gin, lemon juice and syrup in cocktail shaker with ice. Shake and strain into a couple glass. Garnish with a lemon wheel and a lavender sprig. ¹Combine a 750-ml. bottle Pommery Brut Royal Champagne with 1 quart sugar and ½ quart water in a soucepan and reduce by a quarter. Remove from heat and add ½ quart dried lavender. Allow to steep for 5 minutes and then strain. Combine vodka, liqueur, juice and syrup in an ice-filled cocktail shaker and shake. Double strain into a couple glass.